We are currently enjoying a sunny and warm Autumn but that hasn’t stopped us making a head start on our Halloween decorations. We received some great value craft kits from Baker Ross and I thought I would show you the end results, you can order from them online here. 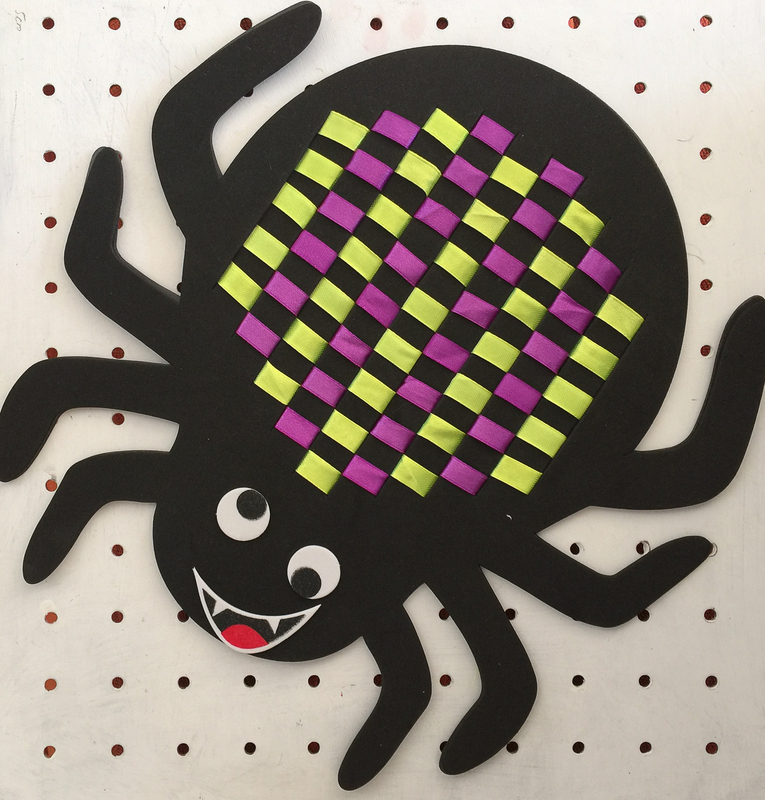 My children like all kinds of crafts and they enjoyed trying something new with the Spider weaving placemat kit. The pre-cut spider shape is huge and my 5 year old immediately knew how to weave the ribbons through it as he had tried weaving in Reception. We taped each ribbon on the underside to keep it in place and this got covered up with the back of the spider. The kit is designed as a place mat but we’re going to hang these up and use them as decorations! Making mosaics is always fun and each picked their favourite Halloween mosaic wand kit as 4 different ones were included. 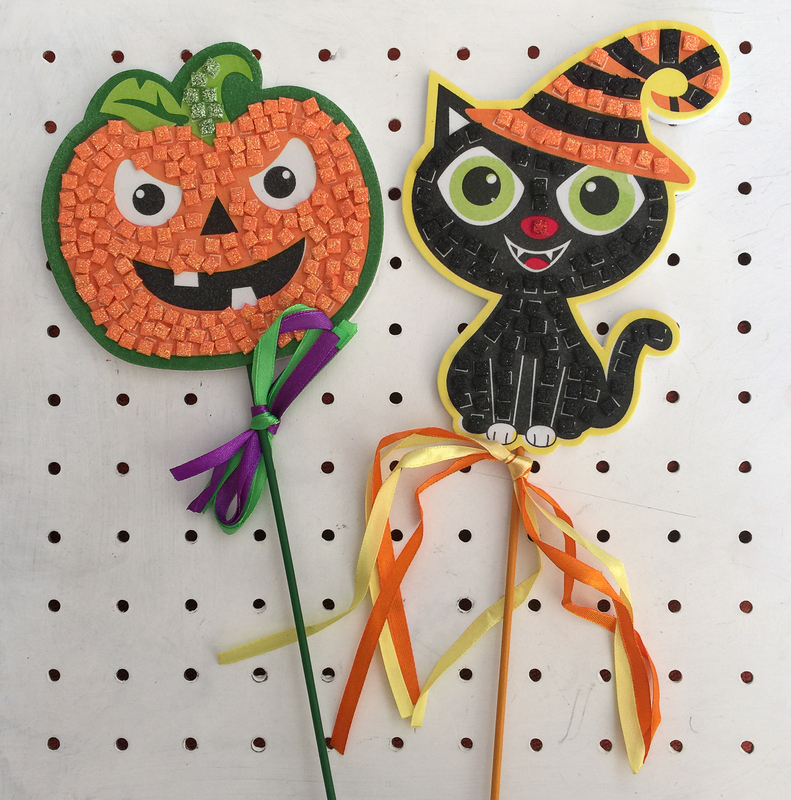 Both my children found these easy to make, simply add the small coloured squares to the shapes, place them on a stick and add ribbons. We haven’t decided where to place these but I think they will look great in a tall jar with some Autumnal flowers. 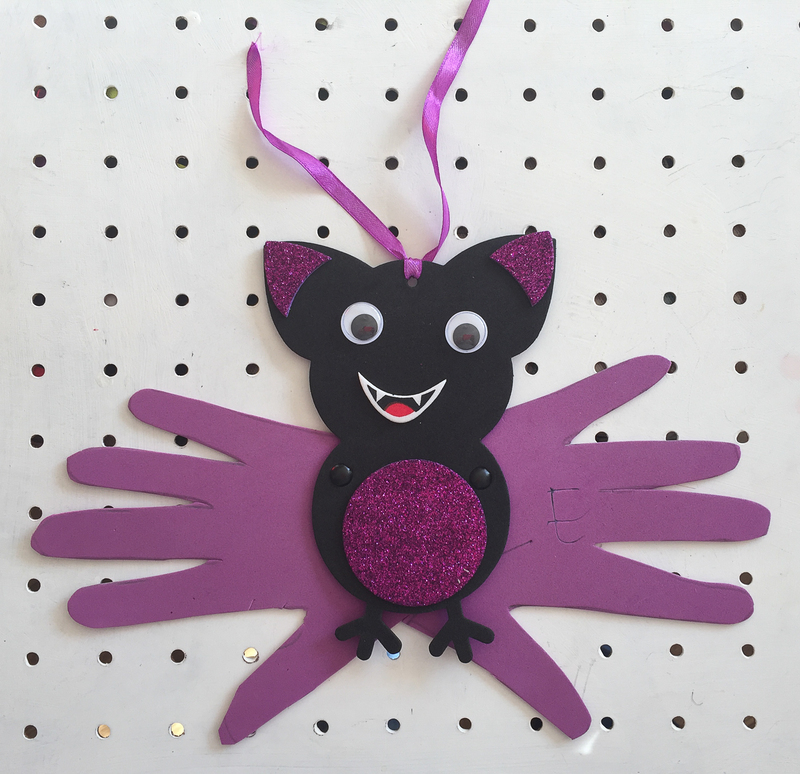 Who doesn’t love using their hands and you can with the bat handprint decoration kit. This is a mess-free kit as no paint is required! Draw around your hands on the foam provided, cut them out and add a colourful body. We liked the fact you could choose your colour and they came with ribbons for hanging. Our Baker Ross craft kits have certainly kept us busy. They make great after school craft activities and are great value too. Absolutely brilliant Halloween crafts. I wish the girls I looked after were old enough for crafts as I would totally buy them these. These are lovely ideas, I especially like the bat.